Despite continuing violence in their country, the children also reveal hope and determination for the future, with many now enrolled on the charity's education and training programmes. 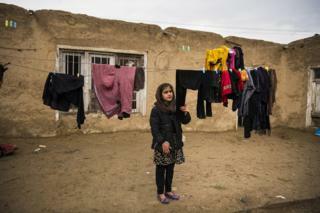 "When they attacked our village, the rocket hit our neighbours' house and they all died," she says. "Our house then caught fire and we ran away. "My friends who I used to play with - I still don't know if they are alive or if they are dead. 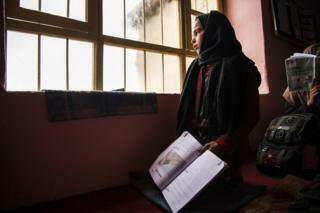 "I'm hoping for a better future - to learn, to support my family and to get them out of this difficult life. And I'm hoping for a future where there is no war." 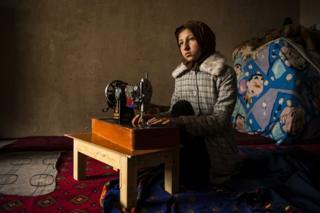 Sema, 11, lost her father in a suicide attack in Kabul. 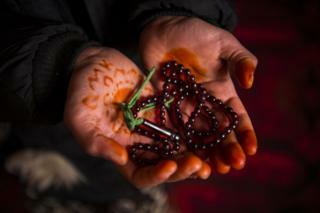 She likes to look at his prayer beads to remember him - they hang from a curtain in the family home. "We still have lots of his belongings, like his car, his clothes, his watch, his shoes," says Sema. "Whenever we see them we cry. He gave us all so much love every moment and he is on our minds. 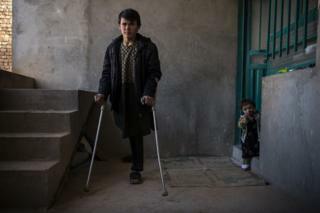 "I want for the powerful people around the world to stop the war and bring peace, because I don't want other children to lose their fathers." "For around a year I felt and dreamt that I still had my leg," explains Naveed. "Sometimes I'd feel with my hand to check, and find it wasn't there. "If someone has lost their leg, it does not mean that they have lost their mind. 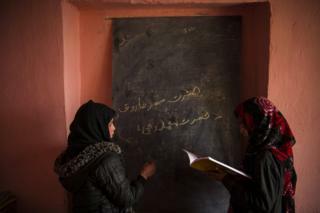 With the help of our minds we can continue to study, learn and work to make the future of our families brighter." 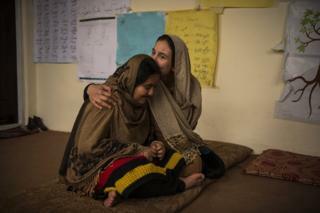 "When I woke up and I opened my eyes I saw lots of bodies and I thought I was not alive any more," recalls Habiba. "It was horrible. I'll never forget that. "Whenever there is a big sound, [Arezo] gets scared because she was traumatised by the sound she heard during the attack. "I love my sister and I help her with her lessons - I take her anywhere. She's older than me, but I feel like the older one because I support her." 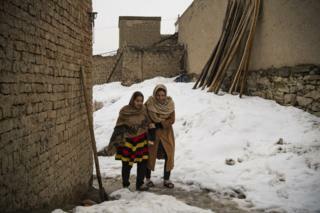 "Two years ago, my brother was going to Kabul when an explosion happened and he lost his life," says Khalida. "We are still carrying the grief and cry over him. "At the time we were happy, everyone was happy. Now no-one is happy in the family. When I remember him, I cry and feel so bad. "He loved me and I loved him. We played sometimes - the main game we played was running. 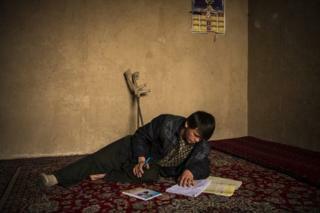 He would help me with my education and with my assignments at home."